The question of subjectivity in photography, the supposedly ‘objective’ medium, arose again this week. Is this a conundrum peculiar to digital imaging? 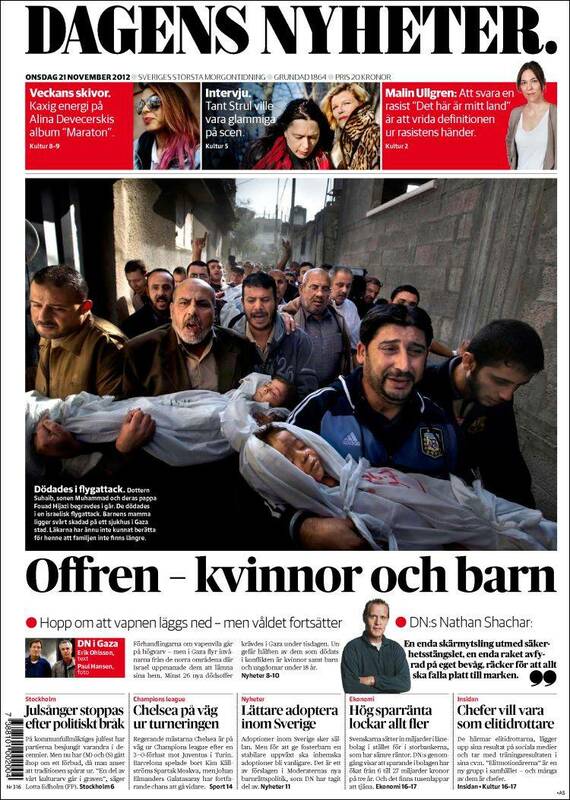 The case in point is Paul Hansen, Sweden, photographer for Dagens Nyheter who won 2013 ‘Press Photo of the Year’ for his emotionally powerful 20 November 2012 image of mourning uncles carrying the corpses of two-year-old Suhaib Hijazi and her three-year-old brother Muhammad killed when an Israeli missile strike destroyed their house. Neither could I. It surely is as powerful and emotionally affecting for anyone with young children. Hansen attends the funeral. He is walking directly in front, photographing with a wide-angle the brothers, uncles of the children, who are carrying their wrapped bodies. At least one other photographer, Mohammed Saber, is shooting simultaneously on his right. As Der Speigel says: “ His [Saber’s] photo must have been taken in almost the same location and at almost the same time, but it is an ordinary-looking news photo […] it also lacks the resonance and sympathy of Hansen’s image.” It is Hansen whose picture carries off the World Press Photo award. 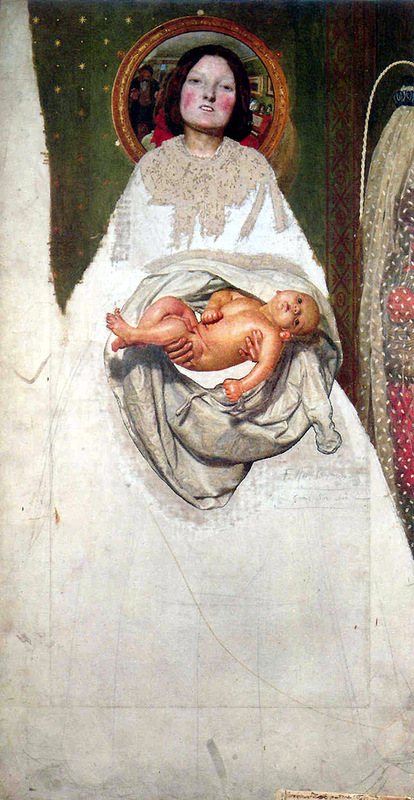 …and Ford Madox Brown’s Take your Son, Sir, another. Both deal in accusation or imply complicity on the part of the viewer and they both proffer the most powerful of evidence; a child’s body. Hansen has come under attack. 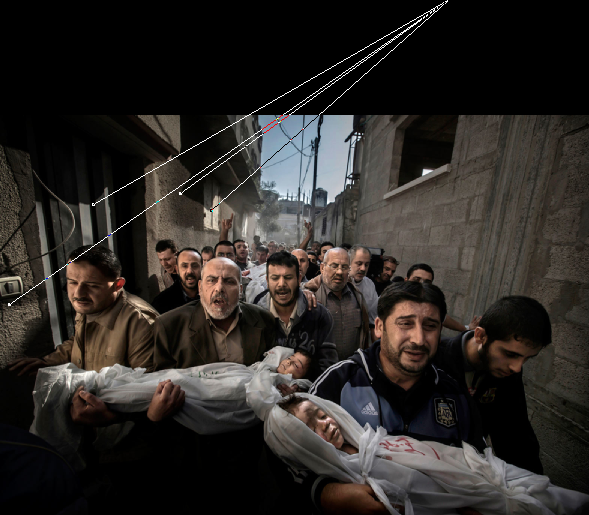 Articles such as one with the provocative headline “How the 2013 World Press Photo of the Year Was Faked with Photoshop”, accuse him of faking the image, of combining two or more images. For a photojournalist who has been Sweden’s photographer of the year seven times, this has career-destroying implications. a still from a movie” [Der Speigel]. (Shih, F.Y. & Yuan, Y. (2012) ‘A Comparison Study on Copy-Cover Image Forgery Detection in Shih, F.Y. (ed.) Multimedia Security: Watermarking, Steganography, and Forensics. Florida: CRC Press. 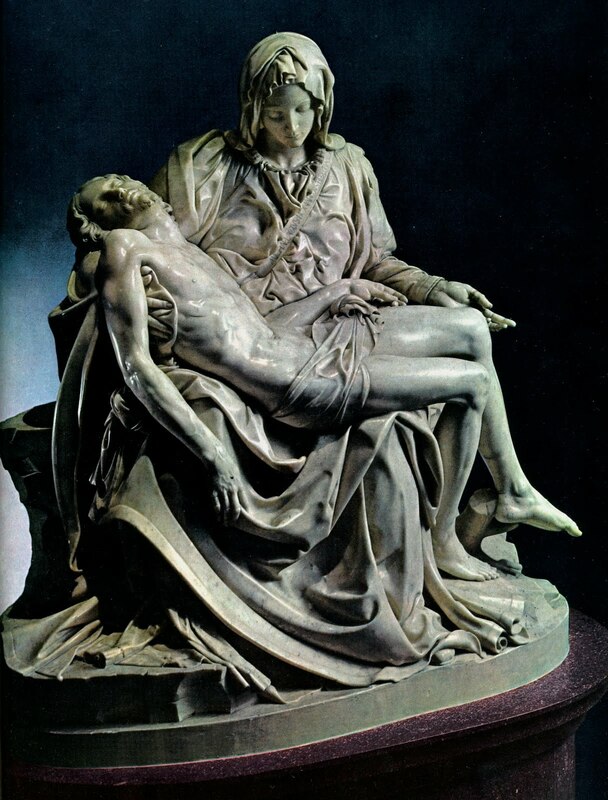 p.298). He does not detail how you can combine ‘a series of photos’ of a moving crowd. ‘Series’ suggests photographs taken one after another over time. In a subsequent post this rash statement is moderated to a degree – Krawetz resiles…he meant several versions of the one photo. There is part of all this that is undeniable. …Hansen admits: “I developed the raw file with different density to use the natural light instead of dodging and burning. In effect to recreate what the eye sees and get a larger dynamic range”. Digital High Dynamic Range, especially HDR generated from copies of the one exposure, can look awful, and almost invariably does. There is a degree of unreality about the tonality of Hansen’s picture. But take the time to look at the rest of the field in the Press Photo of the Year Award and you will see this is endemic; most look theatrical, even melodramatic. It is de riguer to ‘enhance’ one’s image to make it look ‘aesthetic’. Is it just because we can, even on our phone camera, and being able to do it, have we grown to accept the manipulations of Instagram as being artistically valid? W. Eugene Smith “Extremadura. Province of Caceres. Deleitosa. 1951. 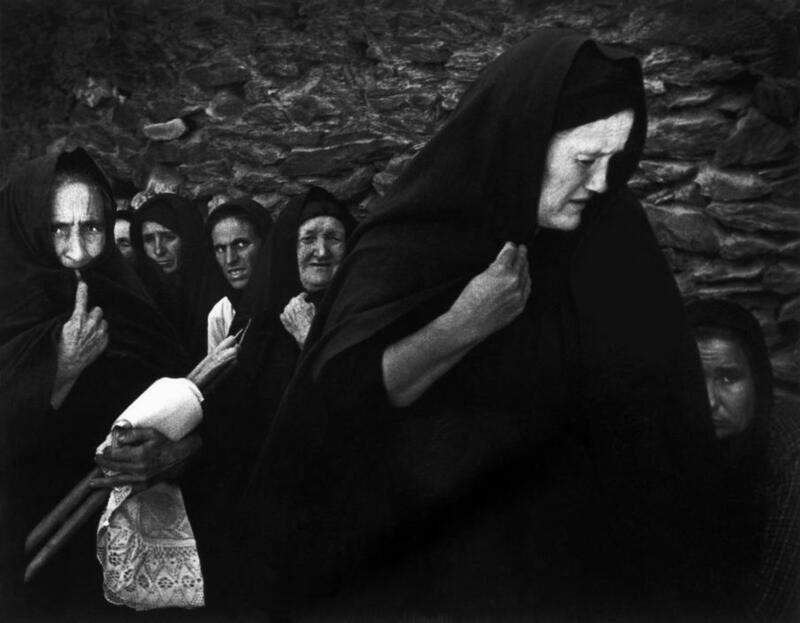 Women mourning at Juan Carra Trujillo’s funeral”. From “Spanish Village” photo-essay. With the correct exposure and contrast Hansen’s alleyway presents the classic broad-source light along with strong backlight that we might find in a photographer’s studio. Hansen is right to say it is ‘magic’. But that is not to admit it is ‘magic’ the sense of ‘manipulated light’ in Krawitz’s very purist ideas about what a manipulated photograph might be, about photography and light, and the position of the sun, that he uses to support his assertion that the image was the result of combining a number of shots. That the sun is above and behind the crowd is merely affirmed by his ‘shadow analysis‘, which does not prove there has been any ‘dirty work’ (at 31° N it’s high in Gaza approaching noon, year-round). Krawitz’ “Shadow Analysis” from his blog post. From inexperience as a photographer, he fails to recognise that because the alley wall is interrupted by niches and doorways, that will reflect light back into shadowed faces. His subsequent post modifies these claims but still uses language to imply that more is being altered; “I noted that the crowd differed in quality. Some people were modified more than other people”. Read that in isolation and it would seem to be saying that other people have been stripped in to the image. Nevertheless, Hansen himself admits to manipulating the tonal values. Is that wrong? Let’s look at some other examples of manipulation before we blame the digital age for this. In the Albert Schweitzer series he made for LIFE, W. Eugene Smith also uses a method of achieving a high dynamic range. For the portrait of the great man working through the night, Smith was faced with the problem of the light source, a shaded lamp, being in middle of the photograph. The relative intensity of the light, and its rapid falloff before reaching Schweitzer, produces many stops difference between the two critical elements. Smith who worked for three days to draw detail from both that was present on the negative (no doubt through long exposure and push processing), into his print and across its lower tonal range. In his armoury was the usual darkroom dodging and burning, but on the final print, which was exposed for highlight detail, he employed Farmer’s Reducer, a potassium ferricyanide solution, to slowly bleach back the detail in the blacks and shadows. French Equatorial Africa. Gabon. Lambarene. 1954. “Dr. 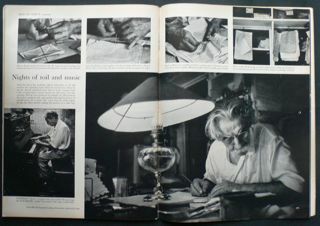 Albert SCHWEITZER in his office”. What Smith achieves however is to my eye perfectly believable. So is the image that headlines the Schweitzer article. This actually is a composite; two negatives superimposed in printing. The silhouetted human hand and saw handle in the lower right corner are printed-in. 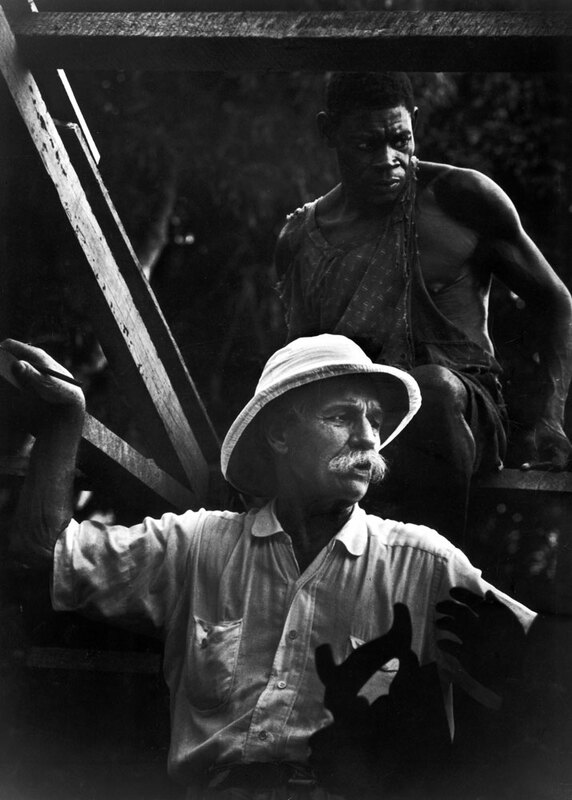 It certainly adds a dynamic, graphic element that enhances the idea of “Albert Schweitzer supervises the building of a hospital in Gabon, West Africa, 1954”. This post is titled Subjective/Objective. Somewhere between the two lies truth. The facts are the death of two children and their father; “two-year-old Suhaib Hijazi and her three-year-old brother Muhammad who were killed when their house was destroyed by an Israeli missile strike. Their father, Fouad, was also killed and their mother was put in intensive care. 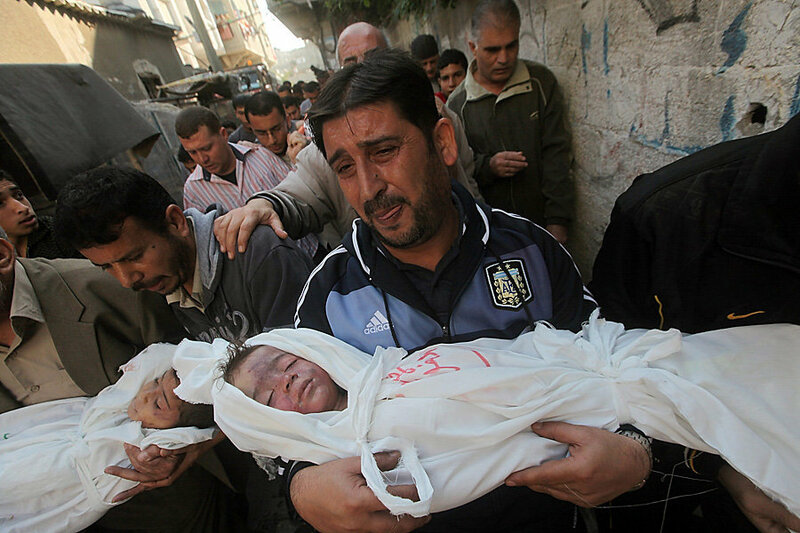 Fouad’s brothers carry his children to the mosque for the burial ceremony as his body is carried behind on a stretcher in Gaza City, Palestinian Territories, Nov. 20, 2012. (AP Photo/Paul Hansen, Dagens Nyheter)”. Hansen’s photograph, its content, but also the way he took it, tells us that we are all implicated in this drama. I certainly don’t agree with Krawitz that “As death photos go, [this is] pretty tame”. Since he willingly admits ignorance of photography history, (“Who are Sebastião Salgado and Gene Smith”, he says in response to arguments like the discussion above about Smith) we can really only depend on his contribution of compression data analysis. As for his self-vindication for tarnishing the reputation of a recognised photojournalist and writing brash language that is likely to fan the flames of Zionist/Hamas tensions, as has been a consequence in this case, I will leave to Krawitz’ conscience. The other digital photography expert commissioned by WPF, Eduard de Kam of the Netherlands, said that there had “been a fair amount of post-production” on the image, but all of the pixels were “exactly in the same place” in the RAW file as they were in the JPEG submitted to the contest. That is, they conclude there is none of the montaging that Krawitz’ language still seems to imply. Where Krawitz and Der Speigel are right, however is the degree of HDR enhancement that can be legitimately applied before it gets ugly. However, with his words; “Journalists are supposed to capture the unaltered event. 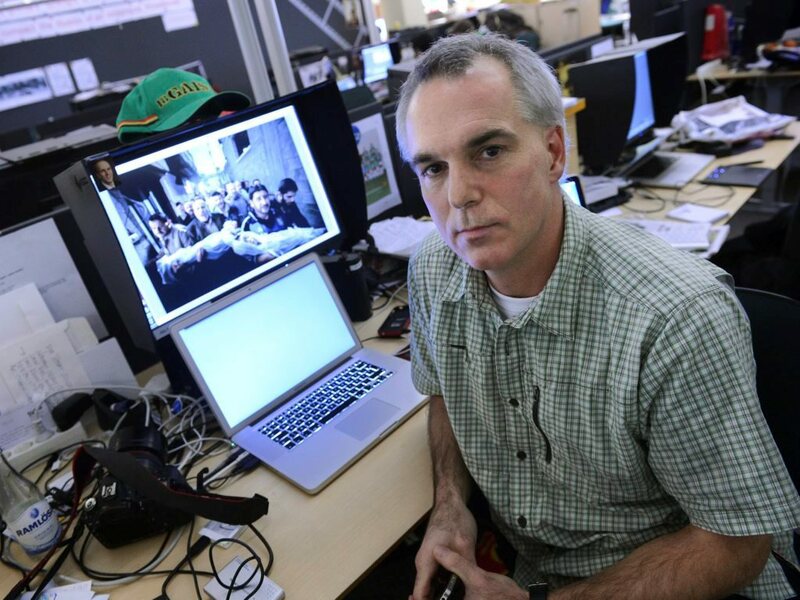 Staged photos, significant edits, and fictionalized events are typically unacceptable in professional journalism photography”, Krawitz implies an accusation too far by associating them with Hansen’s image. 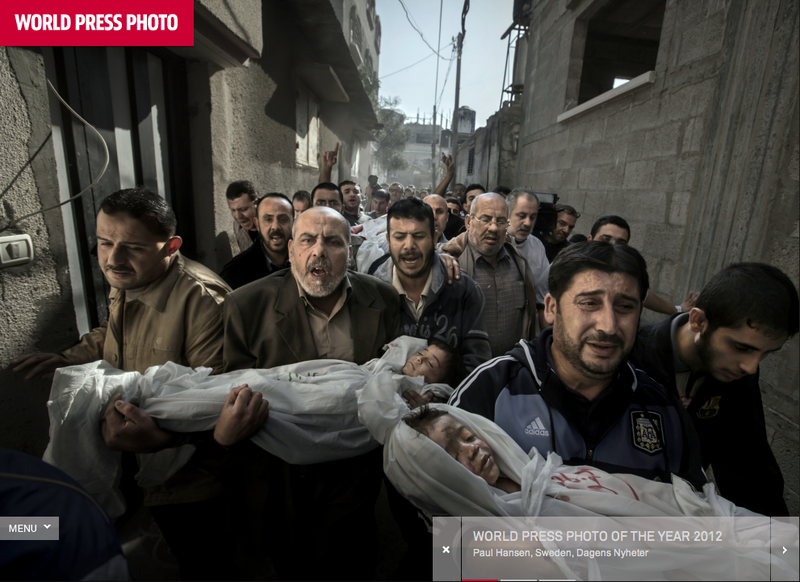 If printed as is the version in his newspaper, or as presented on the World Press Photo site (both on this page), or even if it were in B&W, Hansen’s image remains a subjective indictment of our impassivity in face of the objective fact of unconscionable violence against innocents.